This vessel would have been built to transport more than seven tons of cocaine. 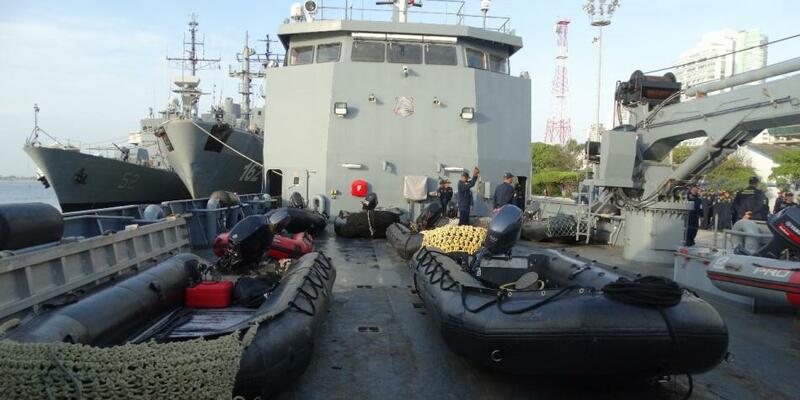 In a joint operation between the National Police in coordination with the Infantry Battalion number 40 Guarda Costas of the National Navy, in the village of Chontal of the municipality of Tumaco, from the air and through a’nodriza’ boat by the Mira River, uniformed They found a shipyard with a semisubmersible ten meters in an area that is under the control of the dissident group ‘Los de Guacho’. According to the police, the boat had a capacity to carry four people, “two would be the machinists who operate the engine and control the water levels to avoid being detected in 12-hour shifts, another would be the mechanic and the last one is (the guarantee) as the person of the drug trafficking organization who travels with them is called to ensure that the drug reaches its destination “. According to the investigations carried out, it could be determined that the vessel had been financed with money from the Sinaloa cartel to extract narcotics from the country through the river Mira to Central and North America, as it had a warehouse to store more than seven tons of cocaine. After finding the semi-submersible, the authorities proceeded to destroy it, affecting the finances of drug trafficking, taking into account that this model of ship reaches an approximate cost of 1.5 million dollars.